In modern times, the subject of massive global change seems to be a regular topic of conversation. Particularly in the truth community, the topic of Earth changes and revolutionary realizations have easily peaked the interests of thousands of people from many different walks of life. Is this subject of the end times or beginning times merely the result of Hollywood entertainment and corporate media propaganda, or is there something more intrinsic and significant to the massive attention these subjects are receiving? There are multiple views about the predicted phenomenon which many of us refer to as the solar flash. This flash event represents a monumental change for the entire planet as well as the solar system as a whole. It is an event which appears to have been prophesied by many different religious texts from numerous cultures from around the world. However, this phenomenon is not at all relegated to the arena of religion alone. Massive coronal mass ejections are a normal part of modern scientific study and in recent times, have even been the focus of executive orders from the White House. These solar events are thought to represent an ongoing concern among scientists, along with power and communications companies. However, many do not believe the solar flash event is anything to be feared. Even still, this phenomenon presents a significant mystery for us to solve. Due to the fact that we, the common population, live in ignorance of the truth behind the world we have been taught to believe, some may feel at least somewhat apprehensive about the potential changes a solar event may have on the planet. In this case, let's gain some understanding. By now, we may be well-familiarized with the concept of solar flares and coronal mass ejections. These are the semi-regular solar eruptions which involve the sun sending x-rays, gamma rays, and highly charged particles out into the far reaches of the solar system. These eruptions can be anywhere from small and minor to largely significant in their impact upon Earth. A large flare can release as much energy as a billion megatons of TNT in just minutes. However, before we make a diving leap for the bomb shelter, we may keep in mind that this is happening ninety million miles away from the Earth's surface. Small solar eruptions will show up on astronomical telescopes and sensors, but may be barely noticeable to the average citizen. Large solar eruptions, on the other hand, have a tendency to cause electrical storms, severe weather and spectacular auroras in the skies of the northern and southern hemispheres. As we may know, there have been times in the past when solar eruptions have caused damage to power grids and radio transmission systems. The last such event is known as the Carrington Event of 1859. Following that event, there was not much damage to many electrical systems at the time. However, this was largely because there were not many electrical systems which depended upon the power grid for their functionality. Today, such an event may have a more severe impact. To date, there has not been an eruption as powerful as the Carrington Event. However, numerous scientists from multiple areas of study share a common prediction that the planet is due for another Carrington-level event in the near future. Some even believe it is possible that we experience a coronal mass ejection far larger than the Carrington Event. According to sources, recent solar eruptions appear to be more intense than in decades past. These eruptions also appear to be moving faster and traveling farther into our solar system than ever before in recorded history. According to multiple sources, the sun seems to be building up energetically, possibly for a massive release of some kind. Naturally, an event predicted to be as large as the coming flash does not merely happen out of the blue. As with any massive release of energy, there is a build-up prior to the release. So where might we find signs of an energetic solar build-up? In American society, most of us are well-familiarized with the notion of global warming. This notion is promoted by numerous official organizations which may, at first glance, seem valid. However, when we look beyond the surface, we see something much more significant. The politicized issue of global warming appears to be only partially based within science, while the rest of the supposition is based upon a half truth. There is no argument as to whether or not the planet has experienced a heating trend in the last century. There is also not much of a reason to dispute the fact that deforestation and massive hydrocarbon emissions are detrimental to the environment. The discrepancy we will discuss lies within the overall cause of the warming trend which the Earth appears to be experiencing. The most significant contributing factor to planetary heating trends appears not to be Earth-based carbon emission, but our sun. The sun is the most significant source of energy within the solar system. According to modern scientific theories, this is where the Earth and all of the planets came from to begin with. Naturally, when attempting to find causes for changes which manifest throughout the entirety of the solar system, such as planetary warming, looking toward the sun seems to be the most logical course of action. The reason we know that the trend of global warming is not limited to Earth alone is because of data collected by official scientific organizations. Yet this data seems to be of no interest to scientific publishers. Though many may blindly choose to ignore all information from NASA itself, much of this data is part of that which holds the key answers to our questions about true astronomical reality. As we may find, much of this NASA data is actually accurate. The problem is that NASA appears to either deliberately ignore or downplay the significance of this data so that the public does not understand its implications. These instances of denial by modern science of significant solar changes of this type may merely represent the stubbornness of the scientific establishment. On the other hand, this obtuseness shown by NASA in particular may be signs of the general manicuring of conventional science for the sake of maintaining secrecy of predicted changes which the data seems to reveal. One particular study released by Livescience.com explains the details quite well. The common theme we find in mainstream media is that sources typically dismiss all claims that warming trends of the Earth have any other cause than carbon emissions. However, this is irresponsible and unscientific, in my view. Once again, when we look at the data about other planetary bodies within our solar system, we see that the local warming trend is but one of numerous changes that are simultaneously taking place on multiple planets, and not just the Earth. According to a few mainstream reports which managed to squeak through, there are significant changes happening on nearly every planet. Below are a number of these planetary changes. From 1975 to 2008, the planet Mercury has shown some of the most significant changes since modern scientists first began observing it. During the original Mariner 10 mission, the planet was observed to have no atmosphere. Yet in 2008, only three decades later, the atmosphere is not only clearly visible, but is exceptionally energetic. Additionally, in only 30 or so years, the entire planet changed from having no magnetic field to having a field so intense that it actually produced magnetic tornadoes on multiple occasions. This pace of change is unheard-of with regard to normal planetary events. However, these are just a few of numerous changes which have been officially reported to be happening on Mercury, though these reports appear to have been swept under the rug or underappreciated by conventional astronomers. 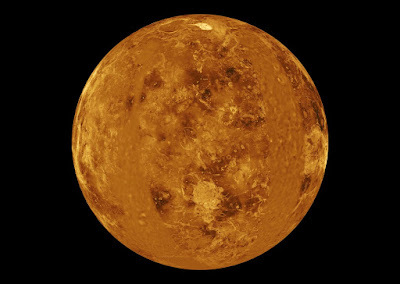 The planet Venus has also shown an extensive amount of changes, possibly due to some exterior energetic influence. According to data, Venus has shown actual signs of a highly energized and oxygenated atmosphere. The sulfur in the Venusian atmosphere is actually converting to oxygen by a factor of 25. That is a 25-times increase in the oxygen content of the of Venusian atmosphere appears to have occurred from 1978 to 1999. According to data, Venus had a drastic increase of plasma content in its upper atmosphere from the late 1970s to the late 1990s. This new discovery came simultaneously to the discovery that the ozone content of Venus had increased drastically as well. This means that the atmospheric sulfur which the planet has become known for is drastically changing in composition, possibly making the surface more habitable for life of some kind. It also came as a surprise to NASA scientists to find that the plasma tail of Venus had become so massive that it stretched all the way to Earth-based telescopic arrays in high Earth orbit. If the plasma increase on Venus is creating the ozone, this would explain the change in atmospheric content. Venus also has a major gravitic change in that strange anomalies appear to be occurring above certain areas over the planet's mountainous terrain. In established science, these distortion waves are termed gravity waves. However, per conventional science, there is not supposed to be sustained gravity anomalies occurring over mountains—making this a new realization for mainstream science (but not so new for the alternative community). In the past few decades, the Earth's atmosphere and magnetosphere have become significantly brighter and more energetic. Among these elements of change was the Van Allen belt which actually formed a brand new layer. That is, an entirely new belt of charged particles was added to those which already existed in the magnetosphere. This is unprecedented. Scientists also note an increase in what they call “killer electrons.” These electrons may not pose any direct threat to those on the surface of the planet, but they do pose a threat to satellites in high Earth orbit. We may also be interested to know that hydrocarbon emissions cannot affect the Van Allen belt in this way. To add, scientists have noted a significant increase in hydroxil gas in Earth's upper atmosphere. In case we are unfamiliar, hodroxil is similar to ozone gas in that it is low-density and rarely occurring in the lower atmosphere. There is just one problem. Hodroxil is not at all local to our solar system. That's right. This gas does not show up anywhere within the confines of our heliosphere, except in this case. Hydroxil is, however, regularly occurring in the local interstellar medium—the area of space outside of our heliosphere between stars. This is the highly energetic cloud which is theorized to be causing these monumental changes among the planets. Somehow, interstellar matter is appearing within the Earth's Van Allen Belt. Matter that only typically exists far beyond the reaches of our solar system is somehow reaching the Earth, and this flies in the face of modern scientific models. This change suggests that the local fluff or local interstellar medium is penetrating the heliosphere and making its way all the way to the third planet from the sun. This situation supports the theory that the solar system is increasing in energy as a direct result of its interstellar, electromagnetic environment. The same changes which we have seen within the atmospheres and on the surfaces of the other planets appear to be happening on the planet Mars as well. 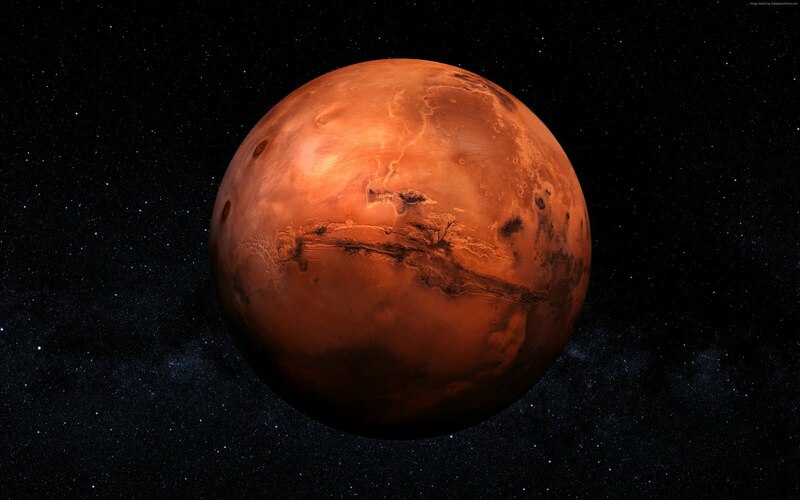 For the first time in astronomical history, the planet Mars was observed to be forming a substantial atmosphere in 1997. After photographs from the Hubble Space Telescope were analyzed, it was concluded that Mars had clear signs of clouds and was later found to be developing significant amounts of ozone gas in its atmosphere. These features were not at all present when Mars was first observed in 1975, and almost just as soon as these clouds appeared over the surface of Mars, they were gone (only a few weeks later). 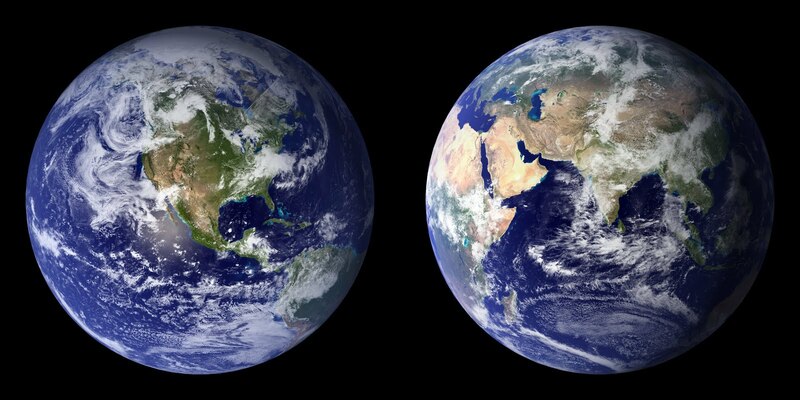 Upon seeing these changes, NASA decided to investigate further. The clouds previously observed in Mars' upper atmosphere seemed to be present one moment and then disappeared a number of weeks later. In 1975, no ozone or clouds were present. Once again, we see this trend of rapid atmospheric changes taking place on planets within the solar system. What might the cause be? This thickening of the Martian atmosphere appeared to have several other notable effects. The increased thickness of atmosphere was so pronounced that it made NASA's missions difficult to predict. The atmosphere ended up damaging the Surveyor probe which NASA sent to investigate all of the changes on Mars. It is very atypical that NASA would deliberately miscalculate and send a faulty probe into space after spending millions of dollars and thousands of hours on its precise and successful mission. This makes it seem very likely that the damage to the Surveyor probe was truly accidental, despite any face-saving attempts which NASA may have made following the news of their damaged probe. Along with the doubling of the thickness of the Martian atmosphere, the planet has shown a drastic increase and irregularities in surface temperature. This has caused a drastic melting trend in the ice caps of the planet. These temperature irregularities also caused snow to fall on the Martian surface during the summer season in the year 2015. To add yet another anomaly to the collection, in recent years, Mars actually displayed auroras in its upper atmosphere. This too, is a first. Though these auroras were much lower in the atmosphere than typical auroras, it was most surprising to see these atmospheric lights occurring over Mars at all. Among the gas giants, there seem to be few comparisons with Jupiter, as a planet with so many moons and such a large effect on the space around it. 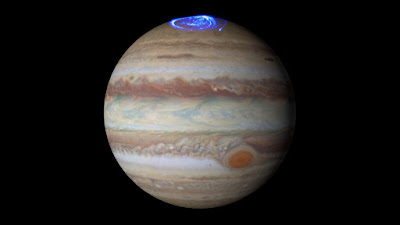 Among the multiple changes which Jupiter has undergone over the past three decades, one seems to have gained significant media attention. It was found that Jupiter has a massive plasma torus which has been forming and expanding since 1971. This torus appears to mimic the magnetic filaments which stretch out from the sun, causing researchers to question the relationship between gas giants and dwarf stars. Also, Jupiter had an extremely exciting atmosphere following the famed asteroid impact of 1994. If we remember, these asteroid impacts lasted a number of days and created a frenzy of interest and excitement within the scientific community. In the infrared view, areas of the planet appeared to glow white hot in the spots which were impacted by the asteroid fragments. In fact, the atmosphere of Jupiter was so intense that the planet produced a massive arc of energy which extended out to the moon Io. 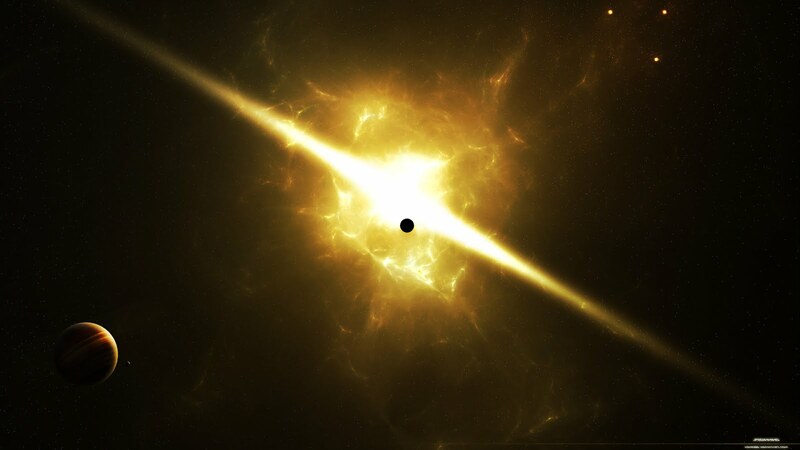 This was combined with a large x-ray burst which emanated from Jupiter's surface. To add, the atmosphere of Jupiter experienced a 10-percent decrease in oxygen content (along with other heavy elements) and an increase in helium content in only 16 years (from 1979-1991). Like the other rapid changes taking place, these are unprecedented and cannot be attributed to seasonal change or the tilt angle of the planet, as NASA often attributes such changes to. Combined with the fact nearly all of the other planets are changing at the exact same time, these modifications to Jupiter's composition cannot be logically ignored. Also, in addition to these changes, the planet experienced a 25-percent increase in radiation along with significant alterations in the color of the planet in this very short period of time. For more details on these subjects, visit Wisdom Teachings on Gaia.com. Contrary to one overly popularized email chain-letter, it is illogical to assume that the solar system is undergoing changes due to a rogue planet. This outdated proposition seems to be a perversion of true scientific discovery about the changes taking place within our heliosphere. No, I do not believe that Planet X is coming to get us. Nor do I believe that Nibiru is going to smash into the Earth or rampage through the solar system to cause havoc at any point. When considering the countless predicted dates of the end of the world caused by “Nibiru” that have come and gone over the past decade with no incident, most honest truth-seekers have moved on from these wishfully fatalistic ideas. It is very unlikely that one small planetoid can have so many massive effects on all solar systemic bodies. It is much more plausible that the sun itself is the cause of the solar systemic changes which have occurred over the past three decades. To see such drastic changes in such a short period of time upon and within so many different planetary bodies in the solar system is unheard-of. Additionally, to see such a fast rate of change suggests that we are not dealing with the typical M.O. for our solar system (to restate). This change seems to depict a significant increase within the energetic and material composition of our sun and the solar system. According to the trail-blazing research of award-winning theoretical physicist, Dr. Nassim Haramein, the difference between a star and an atom may not be as complex as previously assumed by scientific convention. Thanks to Dr. Haramein's ground-breaking paper, The Schwartschild Proton, the scientific establishment has a new paradigm of quantum and astral physics to consider. Within this paper, Dr. Haramein presented the mathematical evidence that stars and black holes work as a team in the cosmos. The paper also proved the possibility that spacetime is not only three-dimensional, but fluid in nature. Like most fluids, spacetime is proposed to have waves, and flows much like a liquid. According to the paper, gravity itself is caused by spacetime flowing into a singularity and this does not only include the massive black holes we find in deep space. It includes the black holes within the nucleus of every atom in the universe. That is, the protons within the atomic nucleus behave exactly like a black hole. It may be that the reason why the mass of an object determines its gravitational pull is because the collection of atoms behaves as a mini black hole. The greater the collection of atomic nuclei which occupy a space, the greater the amount of gravitational influence that object will have. As black holes combine, they work together as a unit. So as spacetime flows into each atomic nucleus, the atoms form clusters, and as these clusters build, they form larger and larger collections of matter. According to the paper, spacetime flows into the black hole/singularity and a lesser flow of spacetime flows out from it. The reason that the outflow is lesser than the inflow is because a portion of the spacetime flowing in converts into photonic energy, or light. This is the process which forms and sustains the white hole which surrounds the black, and together both of these components form a star. To add, according to Dr. Nassim Haramein's award-winning paper, the atom and the star are one and the same object. The only difference between the two is in size alone. Their functionality is exactly the same. Now let's consider the proven scientific phenomenon which causes matter to change simply from being observed. If we are familiar with the observer effect, we will know that at the quantum level, the universe responds directly to human consciousness and actually changes when it is observed. To describe this amazing discovery, here is Science Daily with the details. Though the language of scientific journals can be somewhat technical, the general message is clearly stated. These studies and others show clear evidence that consciousness has the ability to affect physical reality. When we see the relationship and effect which observation and consciousness can have with the quantum world (or for our purposes, the atom), we may realize that on a macroscopic level, our collective consciousness, may actually have a profound effect on the physical reality around us—namely our local star. The theory we know as red shift has been assumed to be factual by conventional science. For decades on end, this belief of the scientific establishment seems to have hindered the growth and advancement of science as a whole. Yet even though this theory of red shift has been somewhat of an obstacle, its disproving may have catalyzed one of the most significant discoveries in modern history. At one point, the scientific community religiously held to the belief system of red sift. Yet this concept did not actually stand up to the entirety of astronomical data on hand. It was not until astrophysicists such as Dr. William Tifft and Dr. Halton Arp decided to reevaluate the concept of red shift that the scientific establishment began to acknowledge the rest of the data about the universe. From extensive research and observation, Dr. Halton Arp and Dr. William Tifft helped to develop the theory that stars did not display signs of red shift simply because they were traveling in a certain direction at a certain speed. It was found to be much more likely that stars were emitting various wavelengths of light due to their different stages of maturity. It was also found that as these stars matured, they changed in their energetic and luminous output, causing our deep space telescopic readings to change as well. Dr. Tifft used his newly developed theory—with the help of numerous predecessors—to rearrange the perceived layout and dynamic of the universe and found something remarkable. He found that galaxies appeared to be maturing in waves which emanated outward from the center of the galaxy. As these waves contacted each star while emanating outward, the stars would undergo a massive quantum shift in their energetic output. 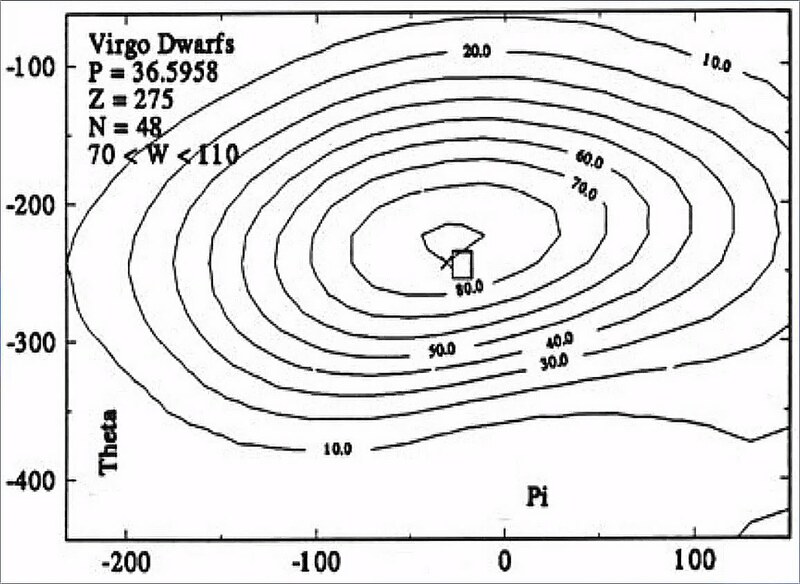 The above diagram created by Tifft is based upon the total of red shift values of nearly all of the stars located in the Virgo cluster. Prior to plotting these values, Dr. Tifft did not know exactly what he was dealing with. However, upon realizing that the values of red shift existed at specific intervals and that no values existed between these intervals, he realized that he had stumbled upon a clear pattern. 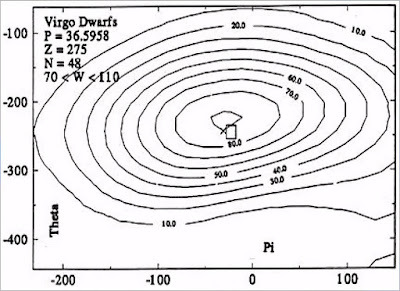 What Dr. Tifft discovered may have proven the theory that red shift values are based upon the level of maturity of the star in relation to the stars around it. He found that as distance from the galactic center increased, the values of energetic output decreased. Through their extensive work, Dr. Arp and Dr. Tifft appear to have uncovered the basis for our current conception of the event known as the solar flash. Another remarkable scientific theory which has massive implications is the postulation that each cosmic object—from planets to stars, and galaxies—every cosmic object evolves into higher and larger forms of being. It may be that stars create their own solar systems, per the established theory, and that solar systems, over time, mature into entire galaxies. The event which facilitates this process may be directly related to the phenomenon of the solar flash. 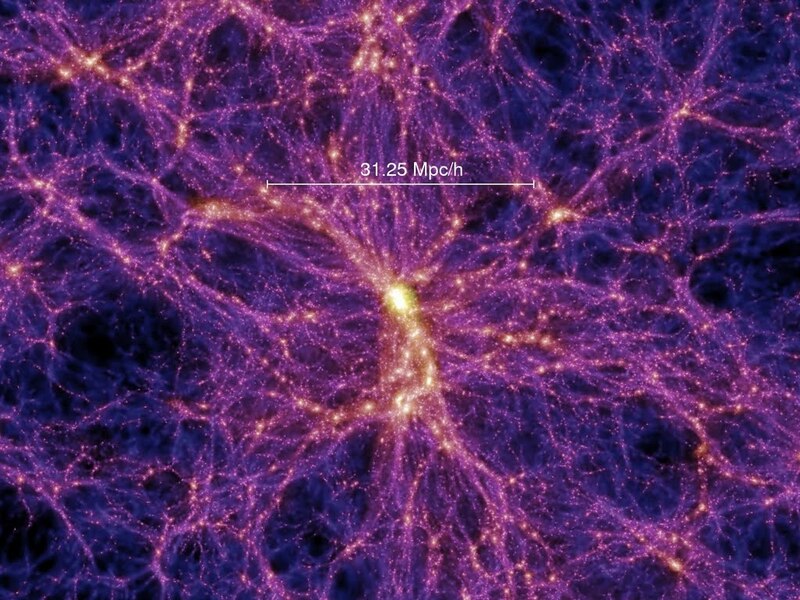 According to the collective theories of Dr. William Tifft, as the waves of galactic change move through a galaxy over millions of years, the stars and their respective systems change in profound ways. Part of this change includes the flash events which involves stars temporarily shedding their corona. Other effects of these events involve increases in energetic influx into solar systems, geo-tectonic events, volcanism, and greater electromagnetic content within the atmospheres of the surrounding planets. Within our own solar system, planets such as Uranus appear to have experienced pole shifts as a result of increased energy, while other planets have experienced a complete energetic reversal of the phenomena on their surfaces. The planet Neptune, at one point, actually had its great dark spot jump from the southern hemisphere to the northern hemisphere and then jumped back again. This appears to show that the underlying geometric foundation of each planet is becoming activated and is shifting to higher states. 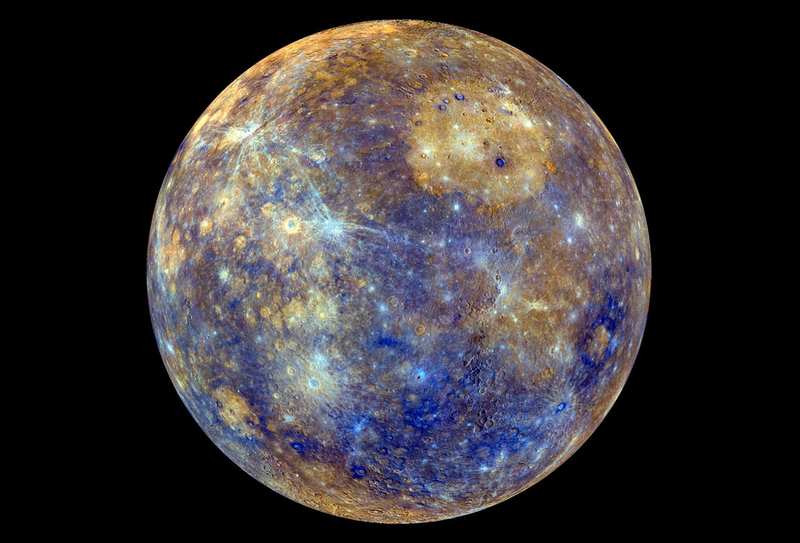 There are also planets such as Mercury, Venus, and Earth which are either developing new atmospheric characteristics, increased volcanism, tectonic activity, or each of these characteristics. All of these occurrences have ramped up in record time—within the last 30 years or less. The scientific establishment only seems interested in focusing on temperatures on one planet affected by these changes. However, as previously stated, the effects are solar systemic. The collection of these effects is believed by many researchers to be the result of our own solar system maturing. 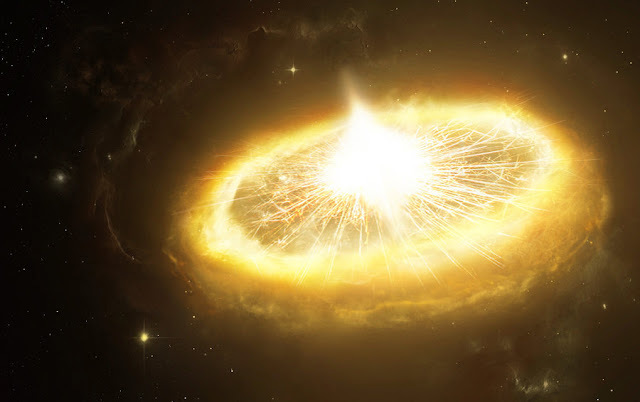 By all appearances, the monumental change which leads up to the massive coronal flash of our local star involves a buildup of energy much like that which we are currently seeing. If this energetic build-up is true, this would explain all of the changes we have seen in our solar system in such a short period of time. The substantial scholarship and scientific research of the late Dr. Harold Aspden suggests that space is divided up into cube-shaped areas which he called space domains. These cube domains—much like every other iteration of sacred geometry within the universe—can be seen in nearly every aspect of creation and at every level of scale, and when we compare this concept with the work of Dr. William Tifft and Dr. Halton Arp, something extraordinary happens. Thanks to the extensive research of author, public speaker, and researcher, David Wilcock, we have a clear comparison between the work of these three trail-blazing scientists. This combination of scientific study seems to suggest a clear model of a coming solar flash phenomenon. The following text comes from the authorship of Dr. Harold Aspden and as we read, we might keep in mind the fact that at the time of Aspden, there were not many people discussing the concept of the Event in open conversation. This excerpt comes from Chapter 8 of Dr. Aspden's book, The Physics of Creation. ...we now address the problem of how a star is created, but go on from there to show how the space domains that feature in this star creation role define boundaries which must one day be traversed by the star at a very acute angle. One would need to pray for a fast crossing in a direction normal to the planar boundary of the domain, as a crossing at a very acute angle would prolong the lapse of gravity and involve enormous upheaval and earthquake activity. This means that the star will be located astride that boundary and be partially in one domain and partially in an adjacent domain. Since, as we shall see, the force of gravity does not act in an attractive sense between matter in different space domains, there are then conditions which arise that may cause the star to explode and disperse, as by a supernova event. To repeat, this is a scientist who researched this subject independently and did not appear to consider the congruence between his work and the multiple ancient prophecies which suggested that the sun may give off a large burst of energy at the end of an age. To some readers, this revelation may be somewhat worrisome. However, before any panic ensues, we might keep in mind that such solar events are reported to have happened numerous times throughout history. If we are here today, this means that humanity survived and prospered even after these types of events took place. Dr. Aspden's research suggests that during one of these space domain crossings, gravity itself would momentarily turn off, which could lead to a number of different upheavals in natural cycles. This seems to support many of the various theories which have circulated in recent times. However, it is important to realize that these events may not be outside of human influence. Noticed Dr. Aspden suggested a need for humanity to pray or intend to experience this phenomenon with ease. This and similar conscious acts of intention may be the key to our ability to weather this event with greater peace and safety. By now, many of us are probably well-familiarized with the concept of the Maharishi effect. This is the measurable effect upon a large population which can result from a core group of people meditating for a unified outcome. Though many attempts to discredit these studies have been made in recent years, the previous studies of the Maharishi effect have been expounded upon. For those details, here is the Journal of Scientific Exploration to prove this principle of mass focus and mediation and its ability to affect the physical world. The putative anomalous influence of groups of humans on truly Random Number Generators (RNGs) have been used to measure the effect of global and group consciousness in a variety of settings including meditations, meetings, ceremonies, sports events, and tragedies (Bierman, 1996; Jahn et al., 2000; Nelson 1997; Nelson, 2001; Nelson et al., 2002; Nelson et al., 1998; Radin, 1997, 2002, 2006; Radin et al., 1996). RNGs have also been used with individuals and pairs to study the effect of human intention and humanlmachine interactions (Dunne, 1998; Jahn et al., 1997; Nelson et al., 1998; Radin & Nelson, 1989). Nelson has reported that RNGs or random event generators in group situations were found to act non-randomly with significant deviations of the means (or in some cases, variance) in situations involving "calm but unfocused subjective resonance" and those "that foster relatively intense or profound subjective resonance" (Nelson et al., 1998: p. 425). Of the various contexts tested thus far, perhaps group meditations are closest to Nelson's (Nelson et al., 2002) prescription for the optimal environment to produce deviations in the RNG outputs. Previous research has suggested that timesynchronized as opposed to non-synchronized meditation appears to influence the RNG to a greater extent. That is, a meditation involving a large number of people worldwide practicing an assortment of types of envisioning, prayer and meditations at the same time reached significance (p=0.047) (Nelson et al., 1998), as did another group meditation with a coordinated time (p = 0.012) (Nelson, 2002a). However, a third group meditation with a non-synchronized time yielded a non-significant result (Nelson, 2002a). As we can see, random number generators are directly affected by consciousness alone. This further suggests that the quantum (or at least the electrical) world can be directly affected by our collective human intent. So if collective human consciousness can affect the quantum world, and the greater cosmic reality is a direct reflection of the quantum world, what might this mean for a potentially monumental solar event taking place in our near future? It has also been predicted by a number of whistleblowers and veterans from various black projects that the coming solar flash may not simply have an effect upon the planet's electromagnetic environment. Personnel within these black projects are reported to believe that the coming changes will yield effects upon consciousness of the population as well. It may be that as our local star undergoes its predicted massive eruption event, that our level of collective consciousness will steer our planet onto whatever timeline we choose to experience in that moment. If the sun is truly the consciousness gateway which we have suggested it is in this presentation, this means that our reality following the flash could be anything we desire. Granted, this future could also consist of that which we fear most if our fear is what we wish to experience in any moment. It may be that some individuals who live in a state of fear and separation will experience just that during this time of transition. On the other hand, those who desire to live in love and unity will experience this reality. There was one theory which I believe may explain the phenomenon we know as the Philadelphia experiment or Project Rainbow. This experiment was designed to teleport an entire naval battle ship from one harbor on the North Atlantic coast of the United States to another harbor in the same general region. The theory suggests that the partially successful teleportation was achieved by creating enough electrical current to connect the atomic nucleus to the electron cloud and essentially convert the atom into a black hole temporarily. At that moment of teleportation, the crew was subjected to the reality of their own state of consciousness in the moment. This may have been a reason as to why some of these sailors survived while others perished. It could be that in the same way, our future may be determined by our ability to control and guide our own consciousness in the optimal direction. If our sun is being exposed to extensive amounts of energy and if this energy is building up to a grand solar flash event, this may be similar to the Philadelphia experiment. Just as atoms were charged up with immense amounts of energy (according to the theory)—causing the black hole and surrounding white hole to join and become one—our star is being inundated with immense energy which may lead to our solar system becoming a sort of gateway to whatever reality we choose. Additionally, if Dr. William Tifft was correct in his theory about the galactic wave traversal, this may mean that at a certain point, gravity itself would turn off temporarily. If this happens, it could result in the spontaneous explosion of all physical matter in our solar system as every atom temporarily converted into photonic energy. At the same time, orbiting objects such as planets and moons would be spread out a distance until gravity was turned back on and their orbitals continued at their new positions farther away from the sun. This process of solar systemic expansion could be the way by which solar systems grow and eventually become gargantuan galaxies. It is when gravity turns off that the greatest amount of expansion happens. This growth could occur on a solar systemic level, but could also manifest on a level of human and planetary consciousness as well. The actual outcome of the solar flash is uncertain. It could include either of the above possibilities. Then again, it may contain neither. Whatever the result, it does seem that our collective consciousness holds the ability to steer the changes before, during, and following this event in order to manifest the greatest possible outcome for the planet. According to research, as a solar system evolves, it goes through different phases. It may be that just as a living organism evolves, stars can evolve, galaxies evolve, and planets can evolve. As a galaxy develops, its energy and material content can change in major ways. As scientists have found, stars are not simply lone bodies of burning fusion reactors. As it turns out, stars are connected by a cosmic network of energetic exchange. Just as we—as living organisms in a biosphere—have various connections, relationships, and symbiotic interactions with the organisms that surround us, the stars in the heavens interact in a similar way. As scientists have found, stars can behave similar to diodes on a circuit board. As energy is distributed through the galaxy, astral connections act as electronic buses, or wires on a circuit board—transferring energy throughout the unified stellar clusters. If we are familiar with the relationship between stars, we know that at certain periods, stars build up and release bursts of energy into their solar systems. According to scientific research, galaxies have a way of evolving in waves. These waves are energy transfers that emanate from the center of a galaxy, and as these energy waves traverse the galaxy, they have various effects upon stars. When the galactic wave reaches a star, the star experiences a massive upgrade in energetic output. In essence, the same force which causes energetic bursts within the galactic center appears to cause its subsequent components—stars, planets, moons, and all subsequent life thereupon—to ascend in energetic states. If the theories presented hold true, we as human beings are made of quantum stars. Every moment, we are being unmade and remade according to our own conscious choice. We are transported at every quantum moment to a different reality according to our own present choice. If these proposals are true, this would mean we do not need to wait for a solar flash to transport ourselves to the place, time, and situation which is most preferable to us. All that is required is a simple, conscious, deliberate, and decisive choice to be who and what we choose to be. All it may take to transform all of the hardship, pain, suffering and death in the world is an individual and collective choice to be something new; something different, something the planet has never before seen; something which, if we were to see, we would have difficulty believing that new state was us. We may find it difficult to imagine ourselves achieving the potential which we actual hold within us. Perhaps if we were to view it, we would have difficulty believing that we as humanity could accomplish such a thing. We may believe that some advanced ET, god-like race could achieve the astounding feats which we ourselves will achieve in the future. However, it is important to consider that the stipulations with which we judge ourselves are not and have never been true to reality. We live in a world which has been defined by insanity. We eat and drink poison and call it sustenance. We take poison and dangerous narcotics for ailments which have no ability to heal us, and yet we call it medicine. We drink water which is scientifically proven to decrease our brain function. We learn lies in school and call it history and when we complete the programming, we call ourselves educated. We are taught to believe the loudest voice is always correct and honest, that virtue is solely dependent upon the uniform a person wears and that actions do not matter. We are taught that those who demand societal change do not actually have to change themselves; that the wealthy elite are above any criticism and any legal consequence, and that anyone who questions the multitude of distortions within the system are crazy by default. This is the standard by which our imaginative vision for a bright and benevolent future is called “crazy.” This imbalanced and corrupted system is the norm under which truth-seekers are ridiculed and labeled conspiracy theorists. Personally, the focus upon a potentially bright and prosperous future does not at all seem ridiculous, to me. In fact, it seems like the most sane goal we can presently hold for our world. Whatever our vision for the future and for the coming changes that are proposed to be imminent by multiple sources, let us determine our trajectory with balance, vision, and independence of thought. This way, we may have the best chance of relieving ourselves of the rampant disease, distortion, and outdated pessimism which has led the world to its present, dilapidated, and debilitated state. We have a chance in whatever form we wish to view that chance, to make a difference in the world. And with that chance lies the potential that everything we once believed ourselves to know; everything we may have believed was unchangeable and irreparable, will be completely renewed.